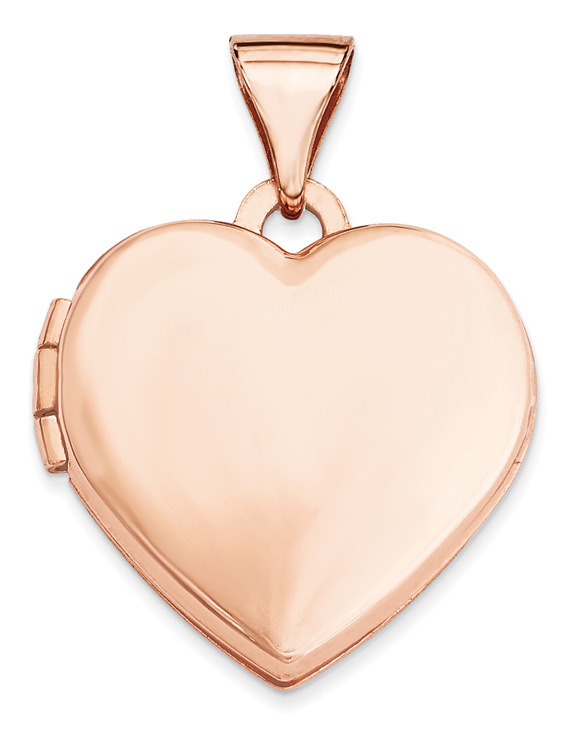 A 14k rose gold plain, polished heart locket pendant opens up to fit two pictures inside of you and your loved ones. This is a simple, but beautiful rose gold heart locket that you can cherish for generations to come and pass down as an heirloom. Heart measures approx. 5/8" in size. Measures approx. 13/16" tall with hoop/bale. Add a 14k rose gold box chain (optional) to make it a necklace. We guarantee our 14K Rose Gold Plain Heart Locket to be high quality, authentic jewelry, as described above.